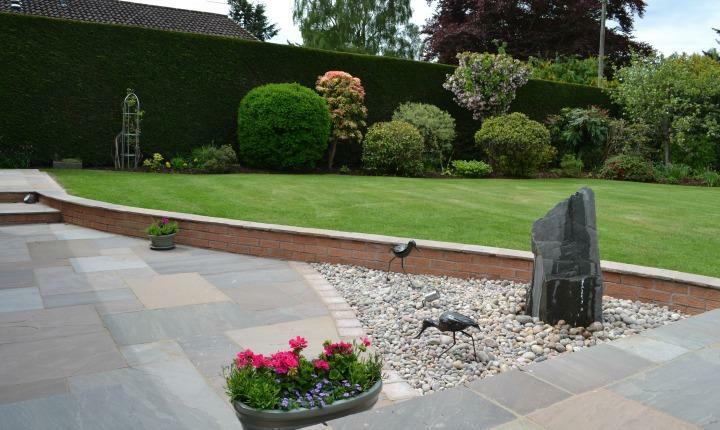 This project took place in a large mature garden in Blairgowrie and involved new paving with a water feature. 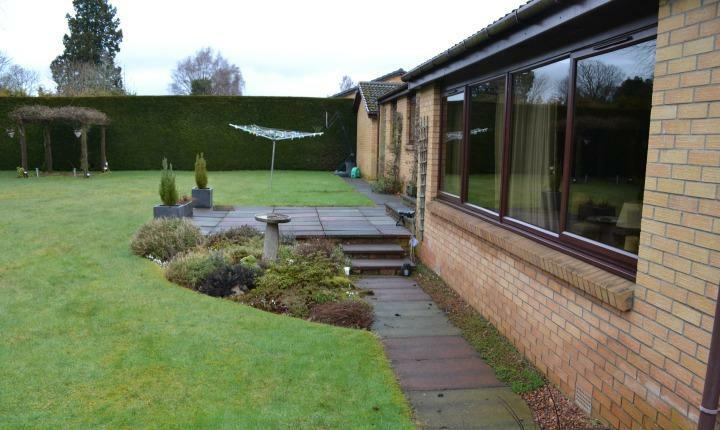 The existing garden was mainly laid to grass with a patio area and rockery outside the rear patio doors. 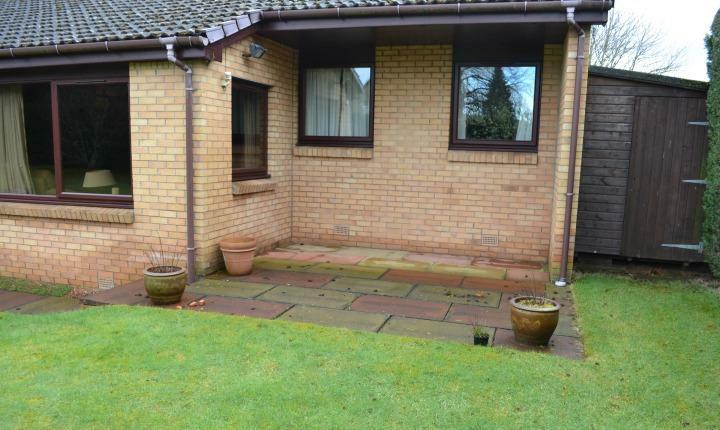 The paving extended along the rear of the property to a barbeque area. 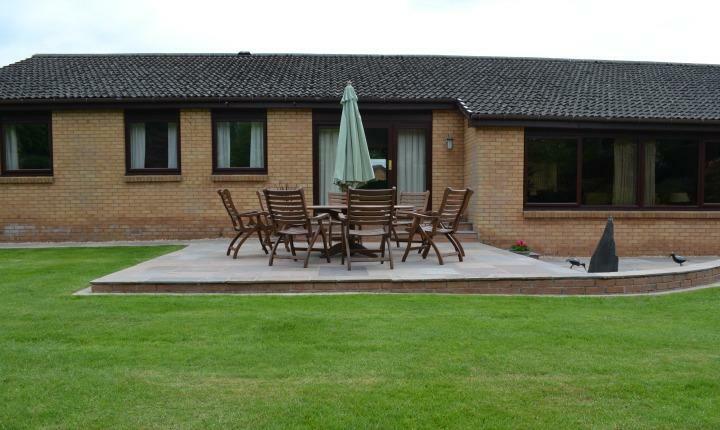 The clients wanted us to update the paving, install a new step and include a water feature. Construction of smart new patio areas on two levels, new paths and barbeque area all using Autumn Bronze sandstone slabs and edged with tegula blocks. 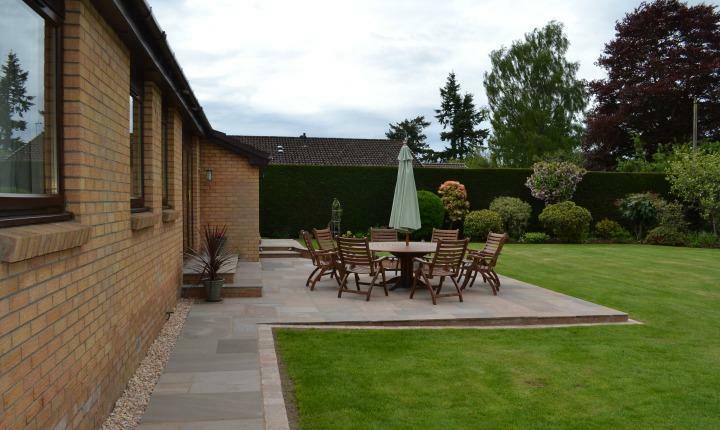 Small retaining walls around patio, in brick to match the property, capped with sandstone copings. New step to lead from the raised patio area down to lower level. Monolith water feature, surrounded by beach pebbles for texture and interest. 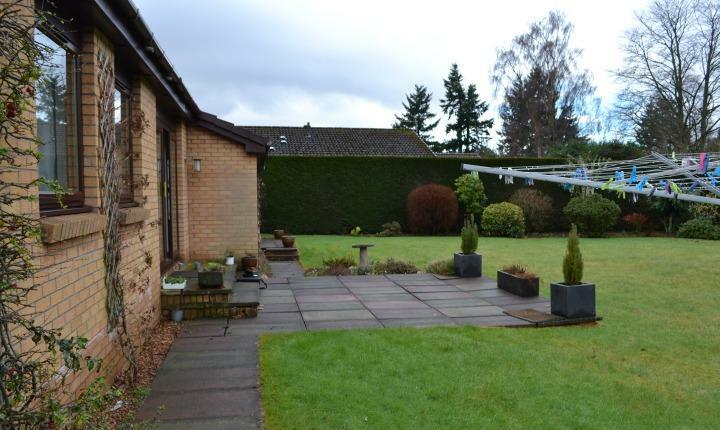 The completed project gave the garden a more contemporary feel with smart new seating areas from which to enjoy the views of the garden with its mature trees, shrubs and colourful pergola. 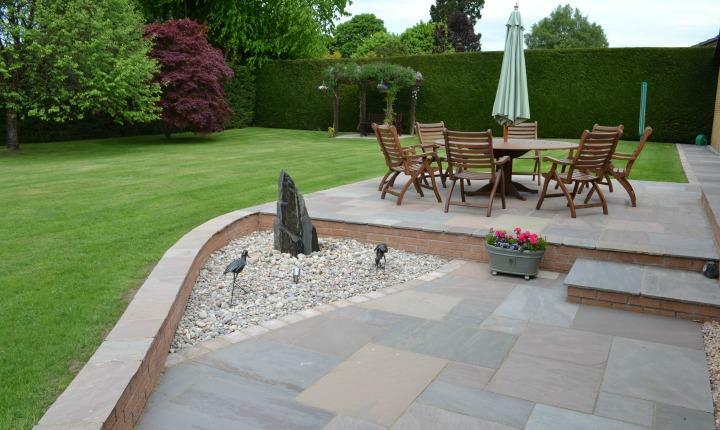 The attractive water feature fits perfectly in the corner of the lower level paving, adding sound and interest. 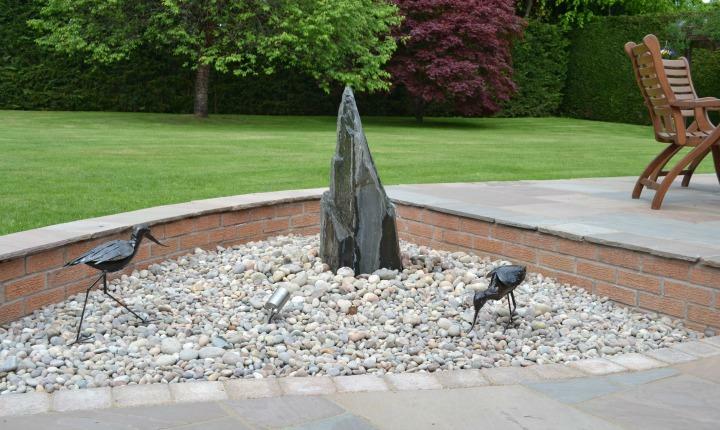 Colorful planters and sculptures of wading birds, added by the client, provide the finishing touches. Jamie,Scott and all the team were excellent from start to finish. They arrived promptly every morning and always tidied up before they left at night. Friendly,professional service and we are delighted with the end result , thank you all. We can highly recommend this company.